Homemade yogurt made in an electric yogurt maker is not only easy to make but also better for you and the environment. You can choose the ingredients, the type of milk, and flavors to suit your palate. Although store-bought yogurt does provide some health benefits, it also can contain a surprising amount of sugar. 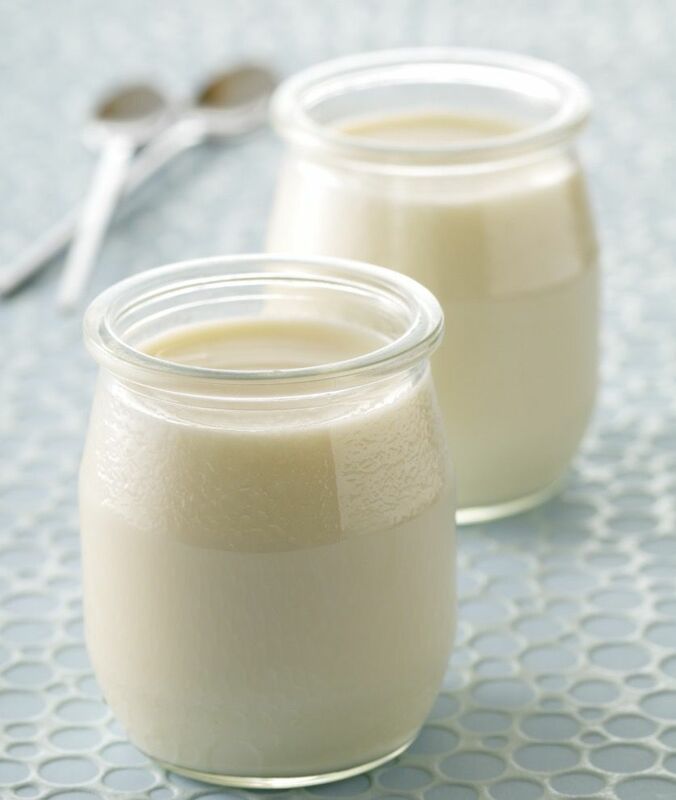 Homemade yogurt will have far less sugar than the commercial yogurt since you are controlling what you put into the recipe. And when making yogurt, you'll also be helping the environment by using the reusable jars that many electric yogurt makers come with, which is much better than all of those plastic yogurt tubs. These instructions should work for most automatic yogurt makers that have the individual glass or plastic containers but make sure to read your machine's instruction booklet for instructions specific to your machine. In addition to the electric yogurt machine, you will need a liquid measuring cup, saucier or saucepan, instant-read thermometer, medium mixing bowl, whisk or wooden spoon, and a ladle. To make yogurt in a machine that has seven 6-ounce containers, you will need 42 ounces (5 1/4 cups) of milk, whole or 2 percent milk work best, and 6 ounces of plain yogurt containing live active cultures. It is very important to use fresh, plain, unflavored yogurt, and the freshest, best-quality milk you can find. The quality of your yogurt will depend on the quality of the ingredients you start out with. The first step to homemade yogurt is to heat the milk. To begin, pour the milk into a saucier or saucepan over medium heat. Heat the milk until it begins to foam along the edges of the pan, but don't let it boil. At this point, it should be about 180 degrees Fahrenheit. Remove the pan from the heat. Cool the milk until the temperature is about 110 degrees Fahrenheit. To speed up this process, fill a large container or your sink with ice. Place a bowl big enough to hold the warm milk in the ice and when the milk reaches the right temperature pour into the bowl. The milk should cool down in about 5 minutes, compared to a much longer amount of time if just left on the counter in the saucepan. While you're waiting for the milk to cool, spoon 6 ounces of yogurt into a medium-sized mixing bowl. Before adding the warm milk to the cold yogurt, you need to temper a bit of the mixture. Tempering is gradually combining a warm substance with a cooler ingredient so the cooler ingredient doesn't cook at all. Using a ladle, add some of the cooled milk to the yogurt, about 1/2 cup at a time, stirring with a whisk or a wooden spoon until the mixture is smooth. When you've added about 1 1/2 to 2 cups of milk to the yogurt, pour the milk-yogurt mixture back into the bowl or pan with the remaining milk and stir until the mixture is completely smooth and creamy. If you plan to make flavored yogurt, now's the time to add ingredients such as jam, vanilla extract, or cooked fruit to the yogurt-milk mixture. You can also add the flavorings directly into each jar for fruit-on-the-bottom-style yogurt. Before experimenting with flavored versions, you may want to try making a batch or two of plain yogurt first just to get used to the machine and the process. 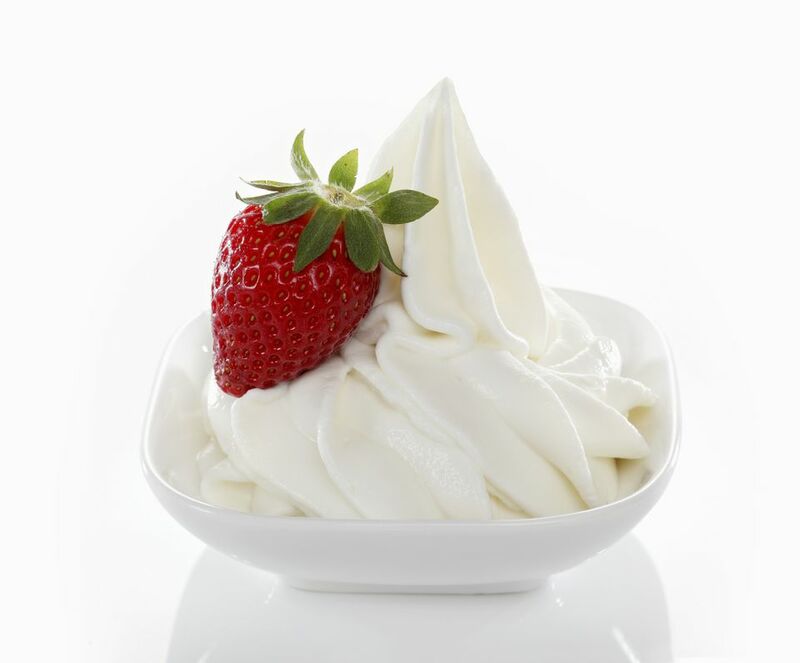 If you don't like the taste of plain yogurt, just stir fruit, jam, or other flavorings into the finished yogurt before eating it. Now it is time to fill the containers. Use a ladle to fill the yogurt containers equally with the yogurt-milk mixture. Wipe any drips off the outside of each container, and place them in the yogurt maker with the lids off. Place the cover on the yogurt maker. To make yogurt in a yogurt maker that has one big container, such as the Dash Greek Yogurt Maker, pour the milk-yogurt mixture right into the large container, place the container in the yogurt maker, and cover. Turn the yogurt maker on and program it for the desired amount of incubating time. Whole-milk yogurt will take about 7 hours, 2 percent yogurt will take 9 hours, and skim-milk yogurt will take 10 hours. While the yogurt is incubating, be sure not to bump, move, or otherwise disturb the yogurt maker as it could interfere with the process. When the yogurt has finished incubating, remove the containers from the yogurt maker, put the lids on each, and refrigerate the finished yogurt until it is chilled through (at least 3 hours). Yogurt will keep about 10 days when refrigerated. To make thicker, Greek-style yogurt, refrigerate the yogurt until chilled, then strain the yogurt through a cheesecloth-lined sieve and let sit for 30 minutes or until it's reached the desired thickness. If you have made a basic yogurt with just milk and yogurt, treat it as you would plain yogurt you purchased from the store. It can be incorporated into many recipes. Mix it with a drizzle of honey and top with berries, or sprinkle a little cinnamon and add some nuts for a more savory treat. Use it in a salad dressing in place of mayonnaise or as part of a marinade for grilled chicken. You can also use plain yogurt as a coating for fried foods and an ingredient in baked goods. The electric yogurt maker will also work for Icelandic skyr, an ancient recipe that is quite thick and healthier than standard Greek yogurts.